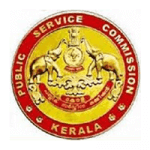 Candidates need to have BSc (Co­operation and Banking) from Kerala Agricultural University. Between 18 years and 50 years. Only candidates born between Jan 02, 1967 and Jan 01, 1999 (both dates included) are eligible to apply for this post. Age relaxation: For SC, ST and BC candidates, between 18 to 42 years. Candidates will be selected on the basis of academic merit, written test, and/or personal interview. If a Written / OMR Test is conducted as part of this selection, Admission Ticket for eligible candidates will be made available in their Profile for One Time Registration and the date of downloading will be included in the Examination Calendar. Candidates can download Admission Ticket for 15 days from this date. Candidates who have downloaded the Admission Ticket will alone be permitted to attend the examination. Candidates who have AADHAAR card should add AADHAAR as their ID proof in their profile.